Pubs in the daytime often have a desolate air, even at lunchtimes, as workers reject a one o’clock pint for a meal al desko. It’s this sense of being forgotten, of letting the world go busily by outside as the clock noisily ticks in a quiet pub that makes daytime drinking such a treat. Walworth, that shabby square of South London bordered by Kennington, Camberwell and Bermondsey, seemed a promising place to start a daytime drinking tour. If you want peace and quiet, to be left alone, but to feel the unspoken camaraderie of other drinkers at the tables around, it seemed like the old school pubs of Walworth would provide happy hunting grounds for fuzzy and progressively less comprehending reading time. 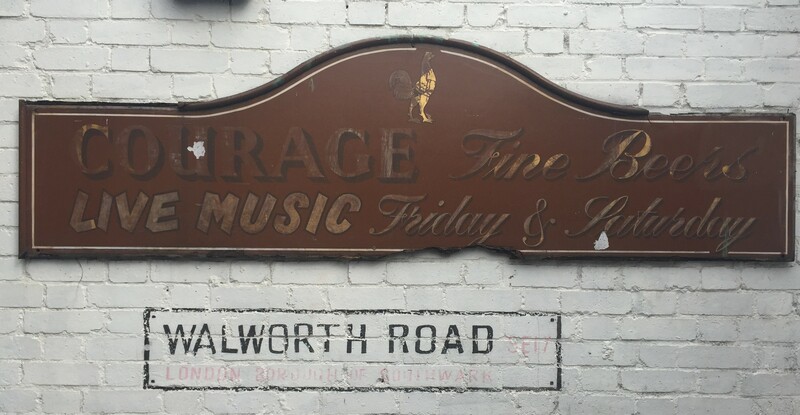 Unfortunately, the invaluable pubology.co.uk maps out Walworth as a graveyard of fallen pubs – closed, converted or demolished. In the last few years alone, I have mourned the loss of several of them. There was the anarchic Corrib Bar where the landlady slammed the cellar trapdoor on the landlord’s head (now the Christ Apostolic Church); the Temple Bar, where drunken bar staff had snowball fights behind the bar (now a Poundland); The Beaten Path (known as the Beaten Man), now a mini-market; the Thomas A Becket, the first floor of which was Henry Cooper’s gym, and which had its licence revoked after violence; and The Elephant and Castle, a pub since at least 1765 which gave its name to the area. It was latterly dishing up Thai food and outdoor pool until one unlucky punter was stabbed in the eye with a pen. 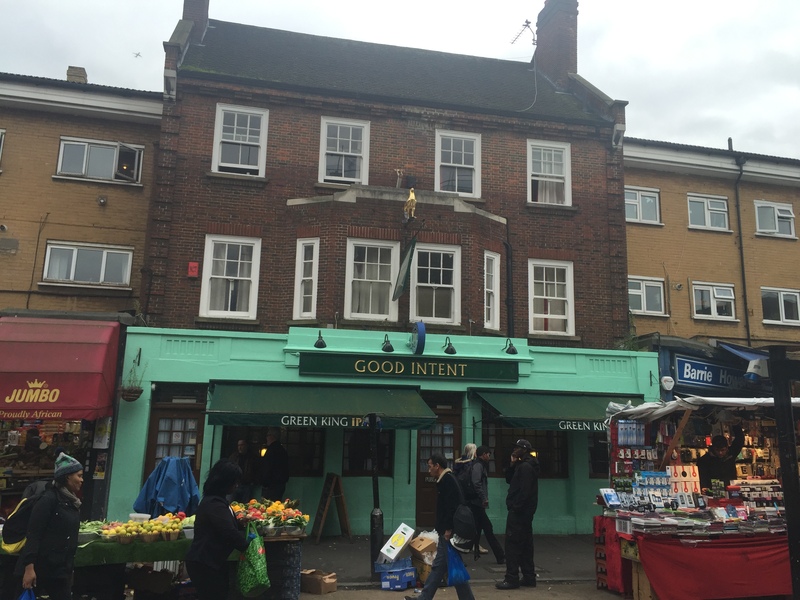 It was closed, squatted to prevent a Foxtons estate agent opening, and bought by the Antic chain after being listed as a community asset. At its high watermark after the war, the Walworth Road was the “Piccadilly of South London” with pubs sprinkled its entire length. It’s still a vigorous retail-based high street, most of its outlets seemingly specialising in mops, teetering stacks of plastic boxes and worse-for-wear fruit and veg. There’s a Vietnamese superstore, a Kyrgyzstani/Kazakhstani hotel with a bar/restaurant which you cross a bridge over a pond and a bagel place (no 280) that inexplicably asks you if want your salmon and cream cheese bagel microwaved. There’s the mighty 24-hour Oli Food Centre (no 344), a Turkish supermarket that stocks scores of types of fresh feta, halloumi and olives. 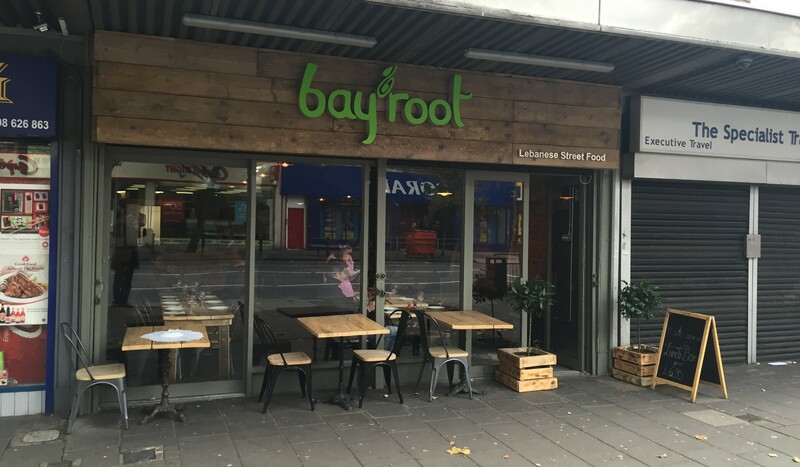 And there’s a feast of good food on offer – locals love old Italian stallion La Luna and meze eaters flock to new Lebanese kid on the block Bayroot. A good pint is a little harder to find. But if the tide of pubs has gone out (just two pubs remain on Walworth Road itself – the Tankard (no 178) and the Red Lion (no 407)), there are still some interesting rockpools to explore. 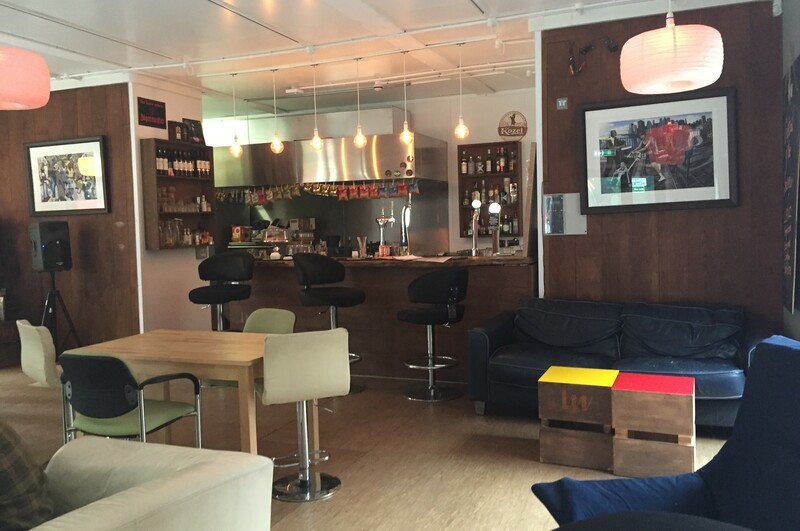 I kick off at the Charlie Chaplin, on the Elephant and Castle roundabout (26 New Kent Rd, London SE1 6TJ). 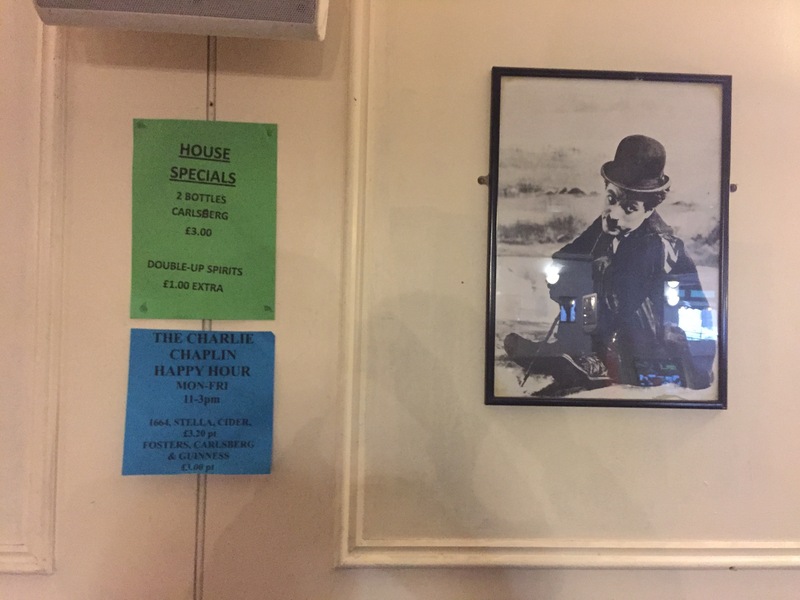 There’s nothing funny about the Charlie Chaplin. They don’t make too much of the film star connection – just a few pics scattered about the walls. Any silent movie fans stumbling on the gloomy place might appreciate the airless hush – it’s perfectly soundproofed from the sonic hurricane of the Elephant roundabout outside. Which means you can hear perfectly the Chaplinesque standards of humour from the locals: “One for the queer fella,” said one old geezer to the long-suffering barman, ordering a drink for his son. But for the daytime drinker, there’s a very welcome happy hour on Monday to Friday, 11-3, with strong lagers for £3.20 a pint. And of all the pubs I visited this afternoon, this unadorned and functional one turned out to be the most amenable to quiet reflection and gentle intoxication. 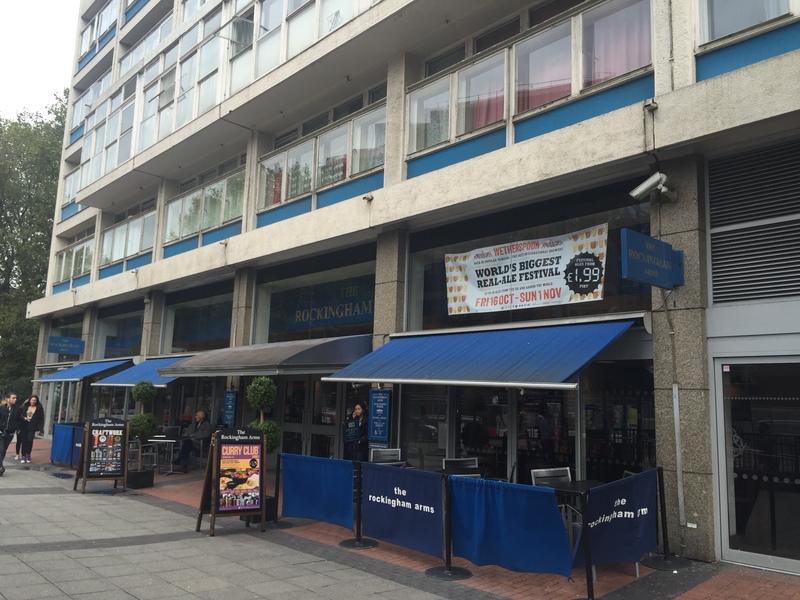 Under the brutalist towers of Metro Central Heights on Newington Causeway, once the offices of the DHSS and also overlooking the roundabout, is the Rockingham Arms, a buzzy mix of students dodging lectures and retired men dodging the missus. Like most Wetherspoons, it’s cheap, with free wifi and a good selection of beers. The wide glass front means you can watch the gathering frustration of people trying to navigate the underpass system. It’s always busy in the day but there’s plenty of room to perch with a paper and a pint without any bother. Self-service Polish restaurant Mamuska on the roundabout serves Polish lager and flavoured vodkas that you can soak up with cheap bread and butter, three quid soups or get down in the dumplings with a plateful of glutinous pierogi. Worth lining the stomach before heading south down the Walworth Road itself. On the corner of Walworth Road and Elephant Road is the Artworks creative hub, a courtyard of tiered shipping containers beached on the site of the demolished Heygate estate. That raised hackles among some locals. They were promised that the public land sold off to developers would satisfy community needs and gluten-free cupcakes and “experiental marketing” firms don’t fit the bill. To be fair, the units also house milliners, barbers, tattooists, Carnaval del Pueblo who promote Latin American events in the area and the temporary library (Newington library suffered a blaze in 2013). 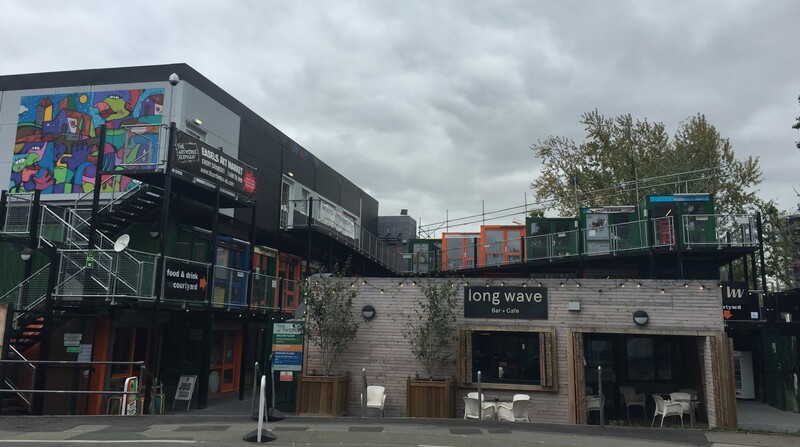 The Long Wave Cafe, a freelancer-friendly workspace crossed with beach hut at the front of the complex, sells Kozel, Orbit and Truman Pale Ale on tap as well as cocktails such as the Walworth Spur, which contains bourbon and Baldwin’s sarsaparilla (herbalist and health food shop G. Baldwin and Co still has a site further down Walworth Rd). It was comfortable and quiet but it didn’t feel like the place you could linger in drinking – everyone else in there was tapping away on a laptop and who wants to get drunk in a library? 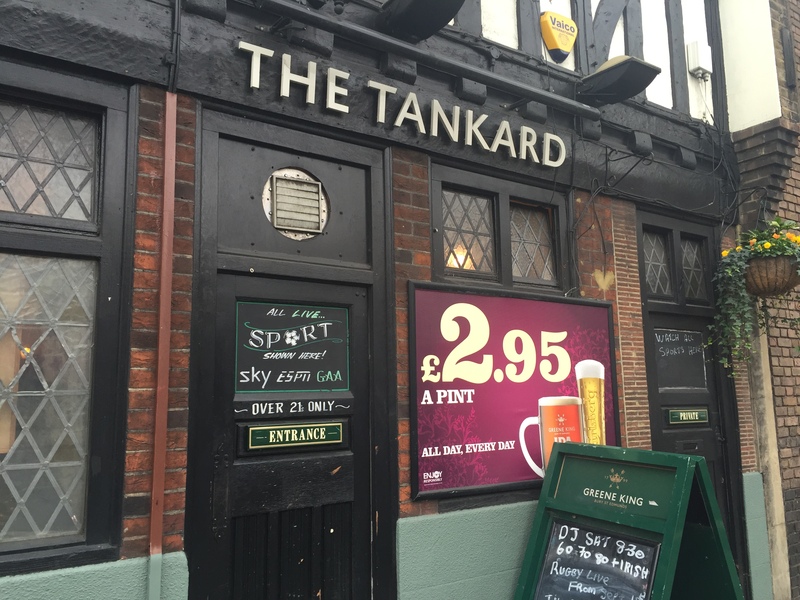 A little further down the Walworth Road is the Tankard (or ‘the Drunkard’ as I still know it). I once arranged to meet a boss I didn’t like too much in here as I knew the earthy mix of no-nonsense locals shouting the odds from the Racing Post across the room in between continual fag trips would intimidate him. The tables and chairs have all been cleared back to the walls of the pub as if in preparation for a fight but the only action I’ve seen on it are loved-up old couples dancing through the bar to 1940s tunes. A decent locals’ pub that, quite correctly, you have to invest time in to make the most of. Pints are £2.95 all day, so it would be a cheap place to drink your fill if I didn’t have other places to explore. 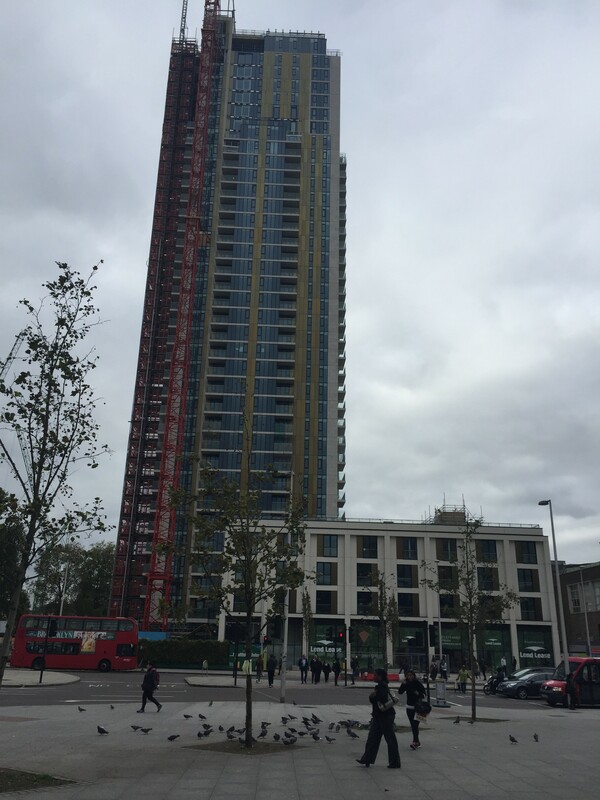 On to the Beehive in the shadow of a massive tower block on Carter Street, just to the west of Walworth Rd. Insensitively refurbished, the owners have ripped out the Victorian windows, removed all the cosiness, slapped white paint on everything and vacuumed the atmosphere out of it. A punter who just wanted a quick cup of tea was regaled with a big faff and a huge clumsy teapot. 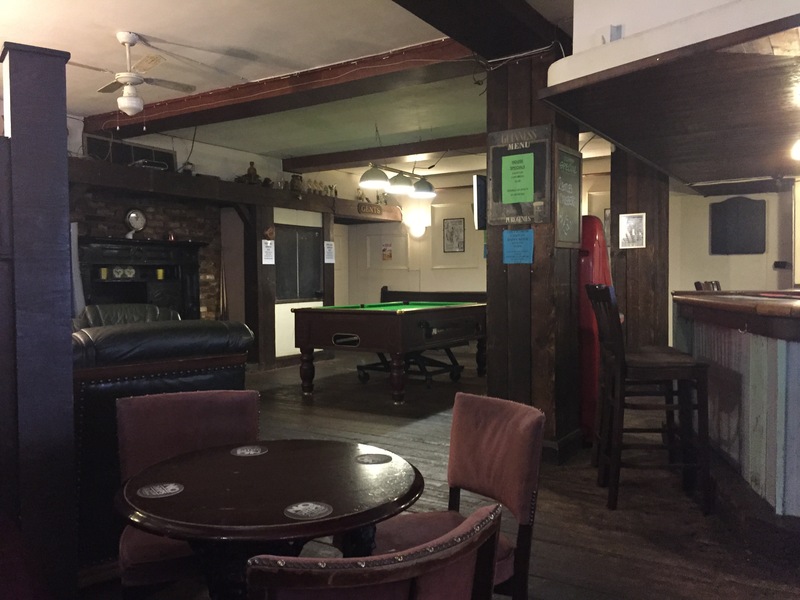 It retains outdoor areas on two sides of the pub that still make it a great destination in the summer – but it only opens at 4pm in the week. 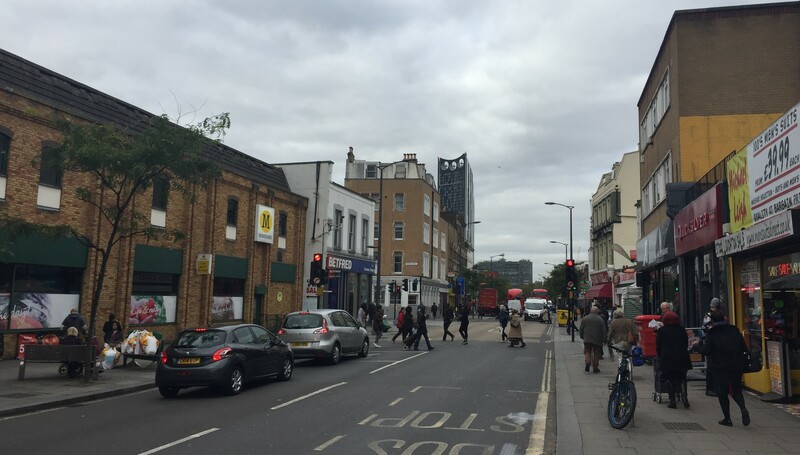 A blue plaque dedicated to Charlie Chaplin stands at the entrance to East Street (or ‘East Lane’, where he stated he was born in his autobiography) which forms the bottleneck to the teeming market, known to non-South Londoners from the title sequence of Only Fools and Horses. Rows of market stalls are flanked by open-fronted fish shops and greengrocers, making the street sometimes almost impenetrable. I shouldered my way down to the peppermint-coloured Good Intent, an old Courage pub with its golden rooster peering down from on high. 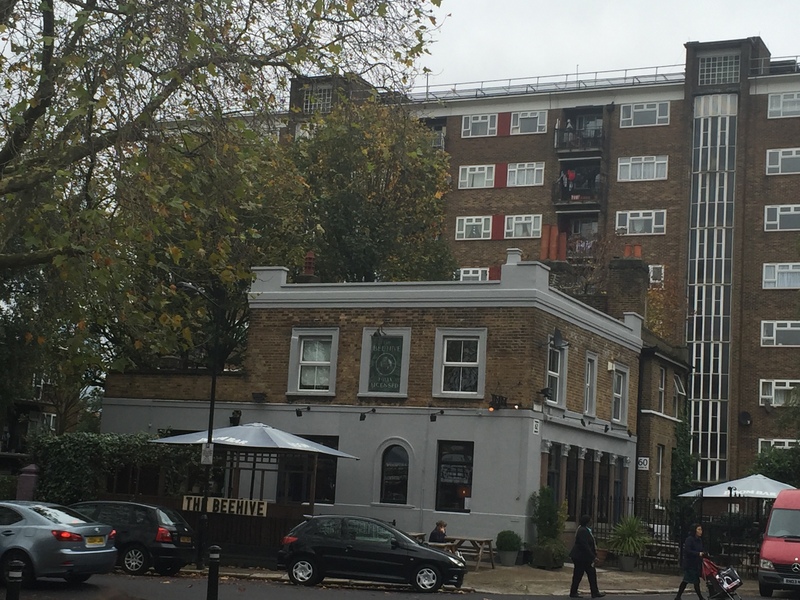 This pub has a reputation that its opaque front only makes murkier. But in the daytime, the staff are sweet, the beer is bog standard and there’s even a decent selection of books. Out the back there’s a whitewashed yard for smokers and a fire escape you can climb to look out over the unsightlier bits of South London, or do a runner from the police. 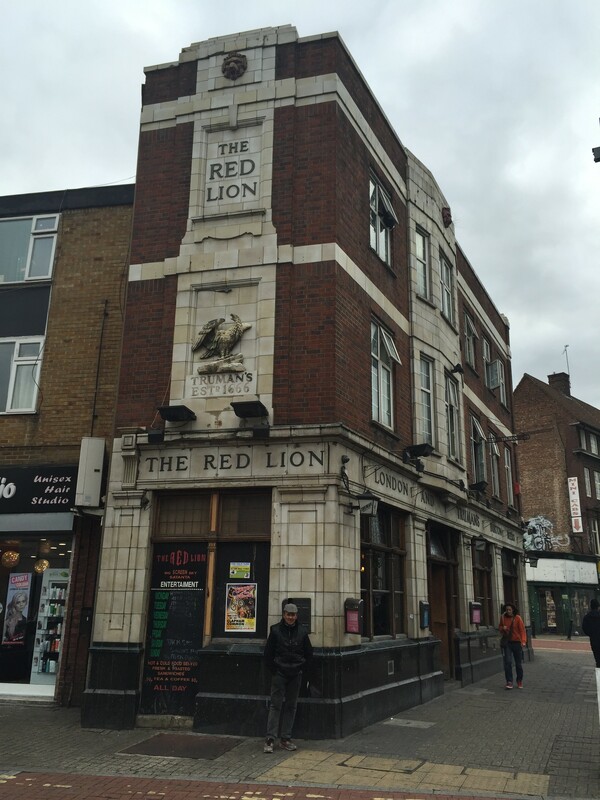 Finally, I arrive at the Red Lion at the end of Walworth Road, the last pub as it snakes south and becomes Camberwell Road. It looks glorious from outside – a 1930s totalitarian stone monument to booze complete with Truman’s eagle. 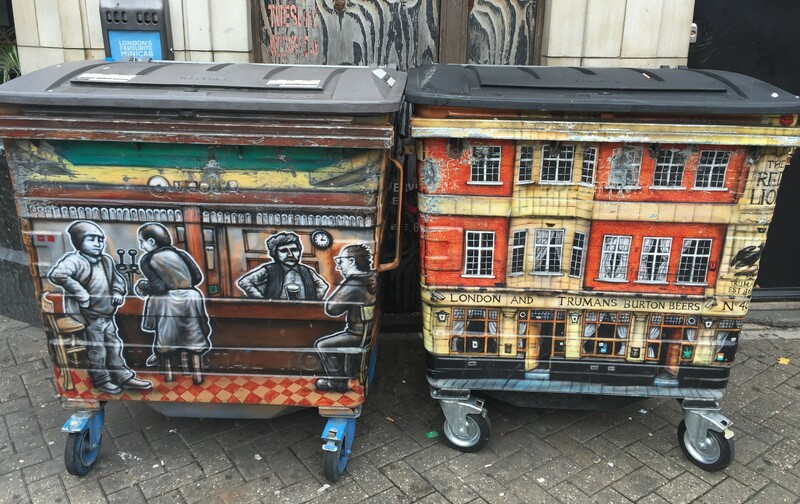 Even the bins round the corner are impressive. Inside there’s a hot, brown, hushed L-shaped bar with ramshackle furniture and pews round the walls. There’s nothing special on tap. My fellow drinkers are a couple with a pushchair but no child, probably steeling themselves for the nursery run. When it comes to pubs here, everything is old school and makes no allowances for trendy in-comers. 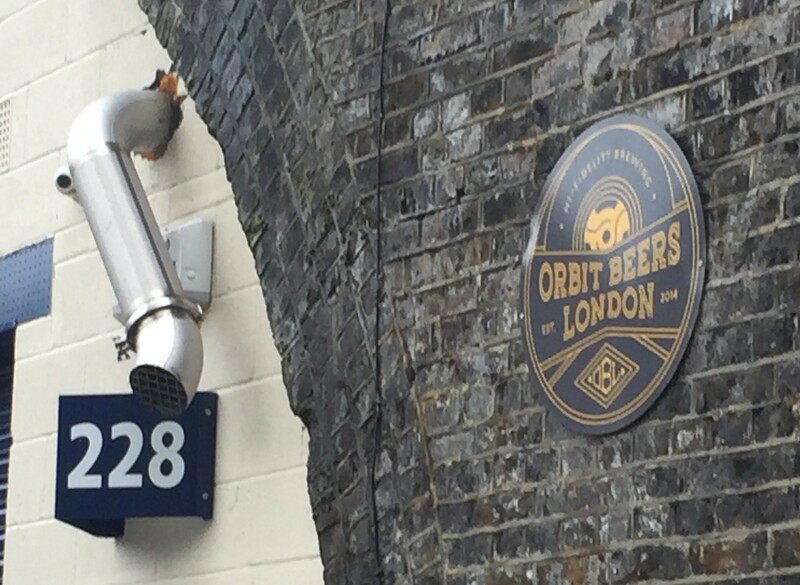 But there’s piece of the London craft brewery scene that has been quietly bubbling away in a railway arch on Fielding Street since 2014. The Orbit brewery runs sporadic taproom nights where you can sample its Leaf Rauch Alt, smokier than a pub the night before the cigarette ban came in, and its light, crisp Kolsch-style Nico, among others. 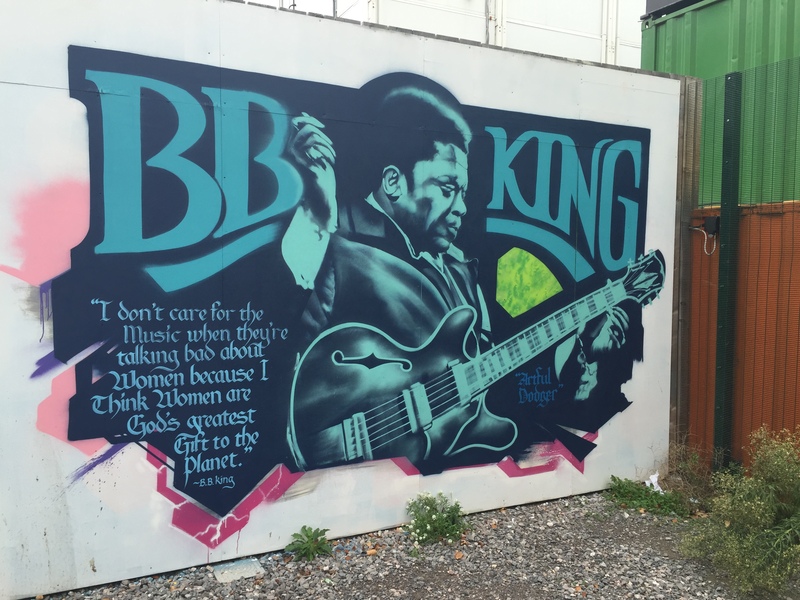 As the gentrification of Camberwell and Elephant and Castle continues, expect to see more changes along the Walworth Road soon. Next time, we continue south into Camberwell. 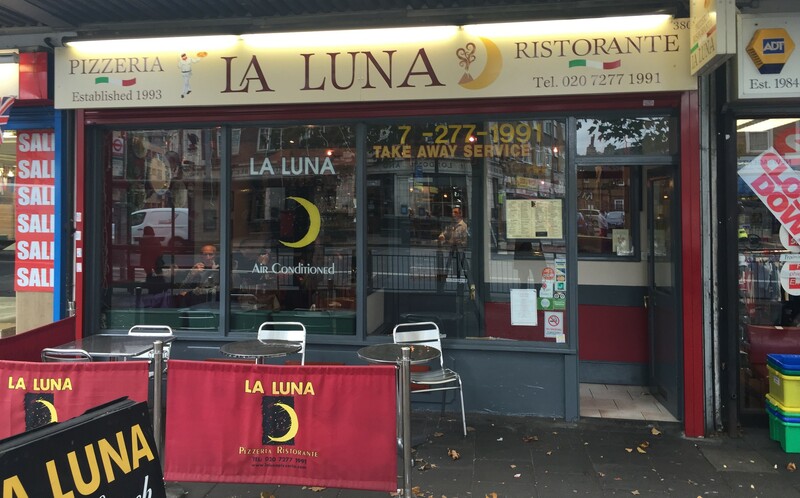 This entry was posted in Drinking, Walworth and tagged in bayroot, charlie chaplin, elephant and castle, la luna, London, london pubs, london se17, orbit beers, red lion, rockingham arms, secret london, south london pubs, tankard, walworth road, wetherspoon. Thanks for your comment Brian — much appreciated. All the best.